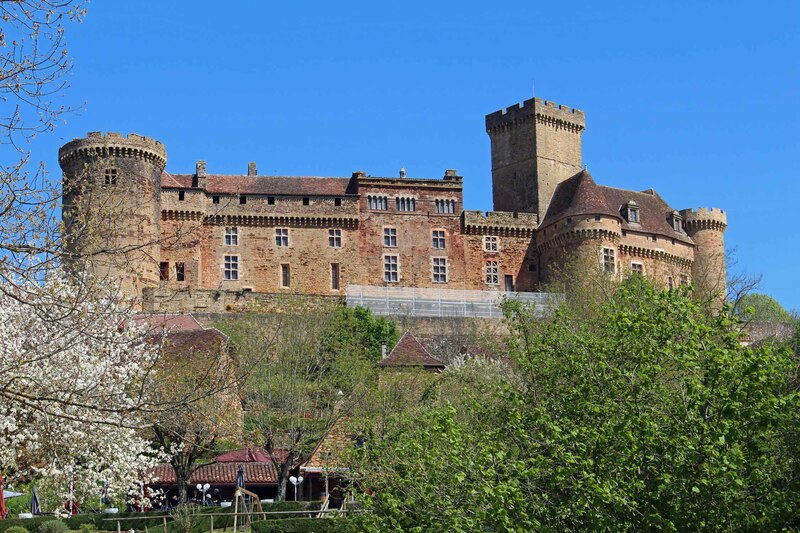 The castle of Castelnau-Bretenoux. The triangular mass of the castle is erected on a spur which dominates the confluence of Cère and Dordogne. The importance of its defence system makes it one of the most beautiful examples of the military architecture of the Middle Ages.